LATAM Airlines will be forking out a whopping $400 million in a revamp of its aircraft cabins to more than two-thirds of its global fleet, the group has announced this week. The plan is to renovate the interiors of around 200 aircraft rapidly over the next two years, with passengers likely to travel on the refreshed aircraft by the end of this year. 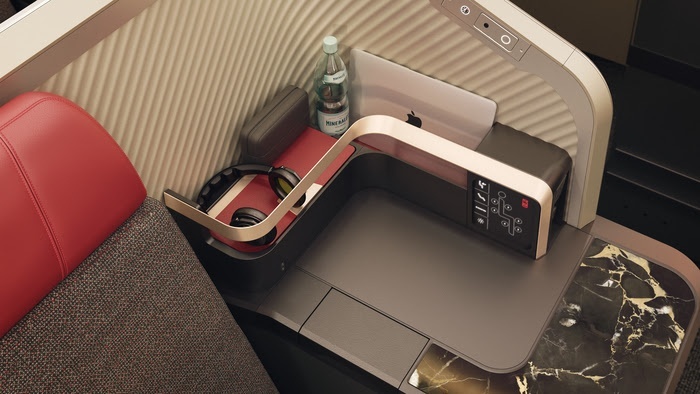 The new business class offering will have more space and a seat that converts to a fully lie-flat bed and an 18-inch in-flight personal entertainment system. In the economy cabin, new seats are from Recaro and are ergonomically designed to offer greater comfort and more space. They will also have fast-charging USB power ports and a 12-inch in-flight entertainment screen. Both cabins will also feature Wi-Fi connectivity and we're told that LATAM Airlines Peru will receive the first refurbished aircraft at the end of 2018, whilst LATAM Airlines Brazil should start having the new cabins on its planes from the first couple of months of 2019. The Chile side of the company will receive the revamped planes from the middle to end of 2019. “Plans to renovate LATAM Airlines’ cabins were agreed as part of our long-term vision to offer an industry leading on-board flight experience to all our passengers, including those travelling for pleasure who want to ‘travel for less’ and business travellers who want privacy and rest, and to be able to offer upgrades to those who desire one." said, Claudia Sender, vice president of LATAM Airlines Group.